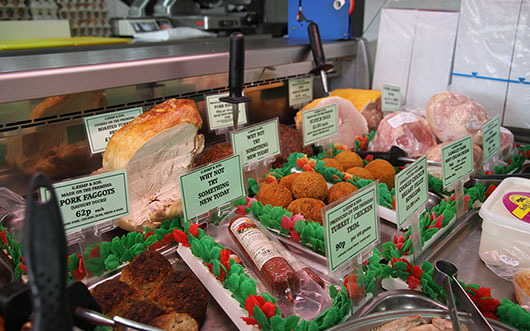 G&period; Kemp & Son is a family butchers that has been serving the people of Nottingham since 1978. Our business is built on our excellent butchery team, with over 160 years of combined knowledge and industry experience. We pride ourselves on using a range of traditional butchery methods and supplying only the highest quality, local meats. 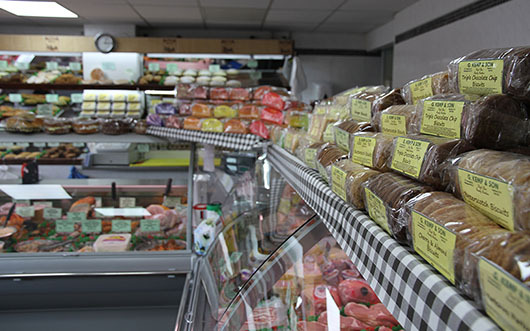 We also make a delicious range of home-made products in store, such as meat pies and pasties which are a firm favourite amongst our regular customers. In 2009 we were awarded the full five-star food hygiene rating for the national awareness campaign ‘Scores on the Doors’ and after our inspection in November 2015, are proud to announce that we have held the five-star rating for the sixth year since the Nottingham city council started the scheme. In 2010 we were inspected to ensure that the requirements for the English Beef and Lamb Quality Standard Mark were being met. Once again, we are proud to announce that we passed their audit, as all our meat is sourced from suppliers with the highest standards in animal welfare and hygiene.